With the kids out of school and the warm summer months upon us, there are many hiking trails that offer great family outings throughout south western British Columbia to explore. Some of the many benefits of taking your children hiking are learning about the local nature and environment, physical activity, and the ability to explore the outdoors. It’s important to know your child’s physical ability and to do research on any hiking trail that you may consider taking them on. While I have seen children as young as 3 or 4 years old hiking up North Shore trails, I have also heard parents say that some trails are too difficult for their children. It’s important to pick something that’s age specific and not something that is physically going to overwhelm your child. Bring plenty of water and food. More often then not, a hydrated, well fed kid means lots of energy, which means they are happy. This means you may need to stop more often for “snack” breaks but happiness is the key. Plan a hike that has several Points of Interest. By points of interest, I mean for the child where they can stop and “play” briefly or learn about something. Something like a lake can be a lot of fun or even playing with a toy in the dirt. Don’t push them too hard. If they are not having fun, struggling up a hill in the hot sun with no end in sight, or something like too many flies is overwhelming, turn around and head back. Don’t over do it otherwise they will be turned off of hiking, possibly forever. When hiking, keep your kids a fairly close distance. There are dangerous animals, like bears and cougars, and letting your child venture too far away from you could potentially leave them vulnerable. With these tips in mind, here are 10 hikes to take your kids on this summer. 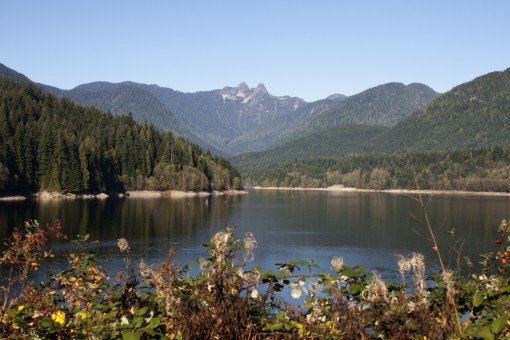 Capilano Regional Park (aka Capilano Canyon) is a great place to take children as it has many points of interest, including the Capilano Salmon Hatchery and Cleveland Dam, where lots of Metro Vancouver’s drinking water comes from. The trails pass through scenic forests and the loop crosses the pipe bridge over the canyon offering a scenic viewpoint of the river below. The trail has a steep downhill section leaving Cleveland Dam, which you then have to walk back up, but this should be doable with encouragement and taking some extra time to go at their pace. A view of the Capilano Reservoir with the Lions in the background near Cleveland Dam. 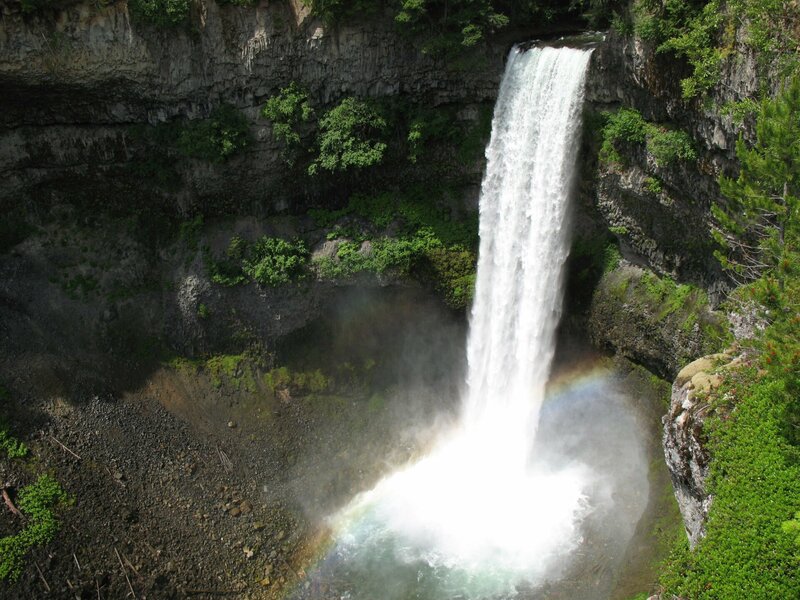 If you’re traveling to Whistler, stopping at Brandywine Falls is a perfect and short outing for the kids. The walk is flat and a mere 15 minutes from the parking lot to the viewing platform overlooking the spectacular waterfall. A further short walk to the end viewpoint overlooks Daisy Lake, where a hydroelectric dam generates electricity for BC Hydro. Brandywine Falls as viewed from the platform. 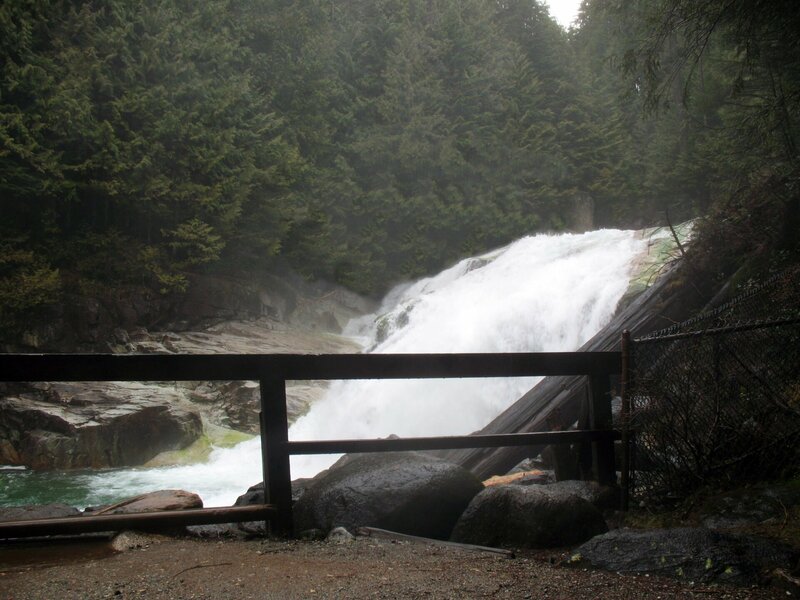 The trail to Gold Creek Falls is located in Golden Ears Provincial Park and is a fairly easy hike to the waterfall. The roundtrip is about 5.5km, taking 2 – 3 hours but there is a nice stop along the river’s edge where kids can play. Golden Ears is a popular place for families to camp with several campsites located within walking distance to the start of this trail. Gold Creek Falls in Golden Ears Provincial Park. 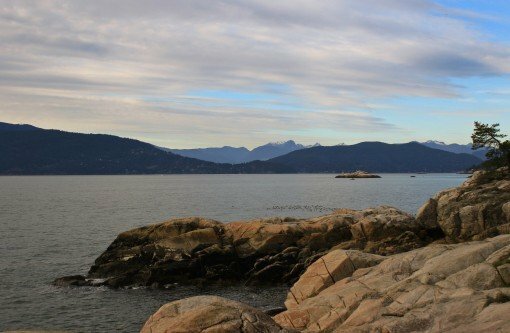 Located in West Vancouver, there are lots of trail options in Lighthouse Park with many scenic views along the coastal rocks looking out to Howe Sound and Burrard Inlet. The trails are all fairly easy with only a few have short hills to ascend or descend. For those who just want a short walk down towards the lighthouse, follow the wide trail for about 20 minutes. To the right of the picnic tables, a path leads up onto a rocky outcrop giving a view of the lighthouse just over the tree line. Another picturesque location is at Starboat Cove. It’s a short 10-minute walk east from the lighthouse where there is a sign for a path that takes you down to the beach area. At low tide, this is the perfect area to have a picnic and enjoy the view that extends from the Lions Gate Bridge to the University of British Columbia to Vancouver Island on a clear day. One of many views from Lighthouse Park. The trail to Mystery Lake begins from the Mount Seymour parking lot area and climbs somewhat steeply to the scenic lake in the mountains. The lake is great for swimming and often fairly warm during the summer months. 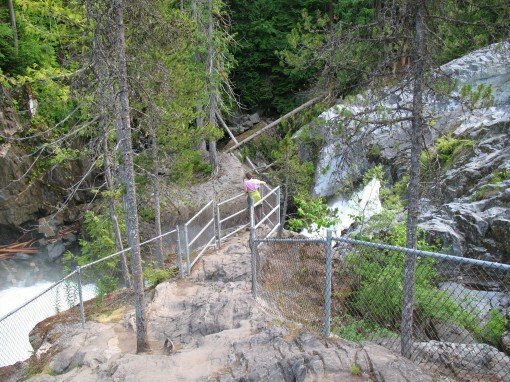 The trail has some steep sections and gains 150 meters elevation over 1.5km (3km roundtrip), however it is a popular family hike on the North Shore, just keep the pace at the level of your child. 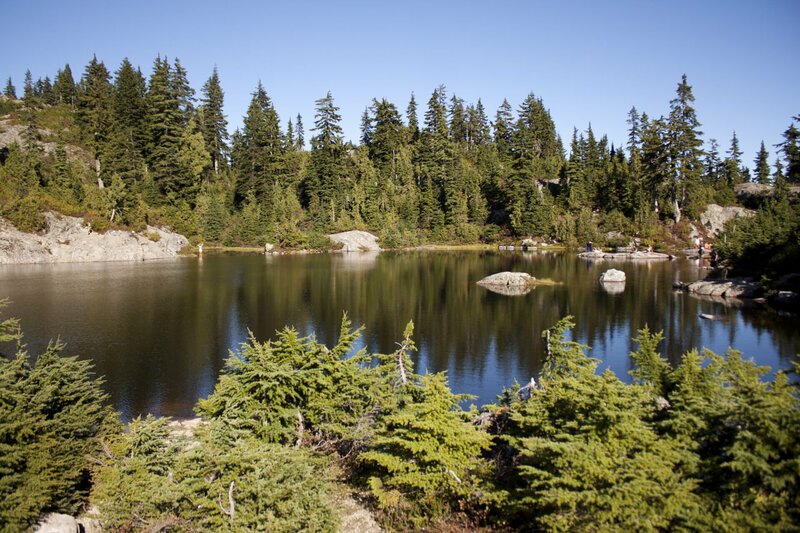 Mystery Lake at Mount Seymour. Nairn Falls just south of Pemberton is a great family campground and has a short hike to a beautiful waterfall. The trail follows the creek, where there are a few places to walk down to the rocks for some further exploring. However, the area around the waterfall, you must stay up on the rocks and within the fenced viewing areas as the water spills over the rocky edges into the canyon below. Looking over at the waterfalls from Nairn Falls Provincial Park. Just north of Hope, off the Coquihalla Highway are the Othello Tunnels. Built through a difficult stretch for a railway line, the hiking / biking trail passes through several old train tunnels and across the steep cliffs of the Coquihalla River. The engineering of this area is impressive, however kids will enjoy walking through the cool tunnels and seeing the rushing water in the canyons as their imaginations run wild with trains passing through the area a century ago. A look through the Othello Tunnels near Hope, BC. Rice Lake in Lynn Headwater Regional Park is a great lake to take kids fishing. The lake is stocked with rainbow trout and the dock area is large and perfect for kids learning to fish. There is also an easy 3km trail that goes around the lake which offers several views for the kids to explore. Exploring Rice Lake on a cloudy day. The Shoreline Trail in Port Moody begins from Rocky Point Park and goes to Old Orchard Park. The route is located along the shores of Burrard Inlet and is 3km one way (about 6km roundtrip). The parks at both ends have playgrounds and there are a few places to stop and explore on the eastern most edge of the shoreline near the mud flats. The most popular stop is getting an ice cream cone when returning to Rocky Point Park. 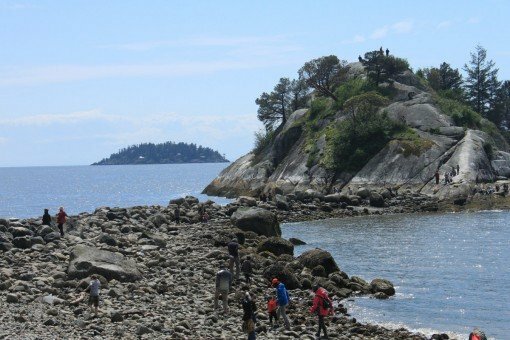 The rocky beach area of Whytecliff Park along the shores of Howe Sound in West Vancouver are a lot of fun for children to explore. Hike out to the large rocky outcrop located just off shore or relax as the kids explore the beach area. The rocky beach at Whytecliff Park is fun for kids to explore. Do you have a favourite place where you take your kids hiking? Let us know. This is a great list. I have taken adults to these hikes just to introduce them back to mother nature. Great list of trails here. Hiking around Vancouver and Whistler were awesome. I loved Vancouver, and am going back! I am going to check out Lighthouse today. Is there an updated list somewhere on this website?